Disney is considering building a theme park in Egypt, its first in the Middle East, state-run news agency MENA reported on Tuesday. "There are discussions going on between Disney International to build in Egypt its first Disney Park in the Middle East, similar to Disney France," Ashraf Salman, Egypt's investment minister, said on Tuesday. Salman's declarations were made during the launching of a live Disney show on Tuesday, which features a cast of Disney characters in a magic-themed performance at Cairo International Convention Centre until 22 November. "Having a Disney show in Egypt at the moment sends a message to the world and to foreign investors that Egypt is safe and stable," Salman said. 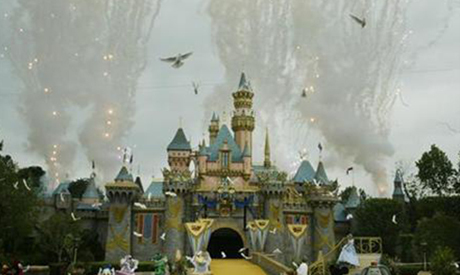 The Walt Disney Company was not available to confirm the news of the theme park in Egypt. I am adapting a novel about how it was that Tut became pharaoh, year 1927. How would an Egyptian feel about opening a Disneyland with a King Tut movie?